Growing up with my grandfather, walking and biking was a part of how we got around and how we played. Where I lived provided me safe opportunities to walk and bike, yet this is not so for most people. One's neighborhood should not determine one's ability to live a healthy, active life; yet it does. I aspire to support communities in creating healthy, active places to live, work and play. 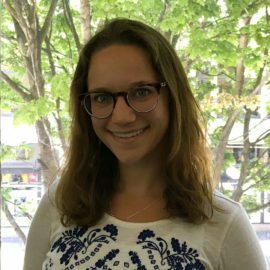 Cailin’s passion for active transportation lies at the intersection of public health, urban planning, and community engagement. She seeks to infuse her work with principles of equity, striving for accessibility and community empowerment. To do so, Cailin prioritizes building relationships with community members, in which she seeks to be transparent, genuinely kind and accountable.